Every year 13 million hectares of rainforest â€” an area the size of Greece â€” are cut down releasing millions of tonnes of carbon emissions into the atmosphere. Although tropical deforestation is the second leading cause of global greenhouse gas emissions, there are currently no provisions in the Kyoto Protocol compensating developing countries for limiting tropical deforestation. Avoiding deforestation was a hot topic at the two-week long meeting of the Parties to the United Nations Framework Convention on Climate Change (UNFCCC) in Nairobi, Kenya, from 6 to 17 November, with ESAâ€™s side event - â€˜Reducing emissions from deforestation in developing countries: can it be measured?â€™ â€“ drawing a standing-room-only crowd to hear how a combination of remote sensing and in-situ measurements can help policy makers come up with feasible compensation mechanisms. The Kyoto Protocol's Clean Development Mechanism (CDM), which enables industrialised countries to offset their greenhouse gas emissions by investing in emission-reducing projects in developing countries, allows emission reduction credits for afforestation and reforestation but not for avoided deforestation. Avoided deforestation prevents greenhouse gases from entering the atmosphere and doing damage, so it is considered a contribution to the reduction of green house gas emissions. â€˜The Economics of Climate Changeâ€™ report, also called the Stern review, compiled by Sir Nicholas Stern for the UK government and released on 30 October 2006, warns the concentration of greenhouse gases in the atmosphere could reach double its pre-industrial level as early as 2035, which would mean a global average temperature rise of over 2Â°C. The report also stresses that deforestation, which contributes 20 to 25 percent of global carbon dioxide emissions yearly, adds more to global emissions each year than the transport sector. The Stern review commissioned research by the International Institute for Environment and Development (IIED) states that preventing carbon from deforestation from entering the atmosphere would be relatively cheap if landowners were compensated for not converting their forests to farmland. Currently, landowners can get greater returns from farming than from sustainable forest management. Brazil put forth a proposal at this yearâ€™s UN climate conference calling for developed countries to provide financial incentives to developing countries that voluntarily reduce their emissions from avoiding deforestation. Papua New Guinea and Costa Rica raised the issue in 2005 at the UN climate conference in Montreal, Canada, when their governments, supported by Latin American and African countries, submitted a proposal for the consideration of reducing emissions from deforestation in developing countries (REDD) under the UNFCCC. The proposal initiated a two-year process of evaluation beginning with negotiations with the Subsidiary Body for Scientific and Technological Advice (SBSTA), which counsels the Conference of Parties (COP) on climate matters. To this end, the UNFCCC secretariat held a workshop, in Rome, Italy, in August 2006 to explore the issue with involved parties, including ESA, and found that while methods for mapping deforestation from satellite images are well established, measuring forest degradation is more challenging and needs more investigations. Forest plants and soils sequester carbon dioxide through photosynthesis. In just one year, an average tree inhales 12 kilograms of carbon dioxide and exhales enough oxygen for a family of four for a year, according to the UN. When forests are degraded or cleared, their stored carbon is released back into the atmosphere through respiration. In order to measure reduction of emissions from deforestation, it is necessary to detect changes in forest area and density and estimate resulting carbon stock changes, in comparison with a historical reference level or projection. At its side event, ESA detailed its new activities within the framework of GMES (Global Monitoring for Environment and Security) and the Forest Monitoring project that have been initiated in support of establishing a mechanism for compensating reduced deforestation. 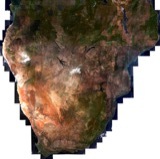 The agency explained it has an archive of Earth observation (EO) data dating back to 1990, and that it is preparing for future data provision through its new GMES Sentinel satellites. Sentinel-2, a superspectral imaging mission for terrestrial applications that is armed with a land-monitoring sensor, will be very useful for monitoring reduced emissions from deforestation in developing countries. ESAâ€™s Olivier Arino, Head of Project Section, explained to the crowd that Sentinel-2 would provide continuity with data from the Landsat and Spot satellites and deliver systematic global coverage every five days with a resolution of 10 metres. ESA also described the project set-up for two case studies in Bolivia and Cameroon, which are designed to help policy makers come up with feasible compensation mechanisms. Gisela Ulloa, Coordinator at the National Clean Development Office and lead negotiator in REDD for Bolivia and Joseph ArmathÃ© Amougou from the MinistÃ¨re de l'Environnement et de la Protection de la Nature of Cameroon both spoke at the ESA side event explaining how the projects will address their countryâ€™s needs. The situation in Bolivia alone illustrates the economic payoffs of avoiding deforestation. The South American country lost an average of 270,200 hectares of forest between 2000 and 2005, according to the Food and Agriculture Organisation of the United Nations (FAO). FAO estimates each hectare of Bolivia forest stores an average of 67 metric tonnes of carbon in above-ground biomass, which is released into the atmosphere if cleared. Thus, Boliviaâ€™s annual deforestation rate of 270,000 hectares would produce at least 18 million tonnes of carbon emissions per year. Assuming a carbon market rate of â‚¬11, the recent price of carbon on the European carbon trading market, Boliviaâ€™s avoided deforestation would be equivalent to the value of â‚¬737 million per year. In contrast, the Stern review estimates that if no action is taken the overall costs and risks of climate change will be equivalent to losing at least five percent of global GDP (gross domestic product) each year, now and forever. If a wider range of risks is taken into account, the estimates of damage could rise to 20 percent of global GDP or more, according to the review. Speaking at ESAâ€™s side event, Bernard Schlamadinger of Joanneum Research and Thomas HÃ¤usler of GAF explained how changes in land-use and forest will be mapped from EO data, and how the areas of change will be linked to biomass measurements in the field in order to derive change in biomass. The biomass changes and other information including drivers of deforestation will be assimilated into a model to simulate future changes and predict the business-as-usual emissions. Comparing this in the future with new EO data and biomass measurements will give the reduction of the emissions. In order to be able to do this now, the project would need to assume that we are now in year 2000 and use recent imagery as future data. The project would then consider different possible compensation mechanisms, different choices of definitions of deforestation and degradation, the wearing down of land, and compute what the consequences would be, in terms of compensation, for Bolivia and Cameroon. Antonio Lumicisi from the Italian Ministry for the Environment, Land and Sea described services providing maps of change in forest and land use and derived biomass changes that are already provided operationally to a number of countries by the GMES Forest Monitoring consortium. In his closing comments, ESAâ€™s Head of Exploitation and Services Division Mark Doherty encouraged side event attendees to express their specific satellite needs so that ESA and other space agencies, as well as industrial contractors, could incorporate these criteria into the designs of future satellites. As decided at the COP 12 meeting in Nairobi, the UNFCCC will sponsor a second workshop before the next SBSTA session in May 2007 to continue the discussion on avoided deforestation. 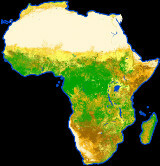 Results from ESAâ€™s Cameroon and Bolivia projects are planned to be presented at the next COP meeting in December 2007.